Many Israelis and their apologists are quick to condemn accusations that Israel is an apartheid state. Their usual defence is ad hominem: a personal attack on the motives of anyone who compares Israel with apartheid South Africa. This is attack as the best form of defence. It relies on the audience of the confrontation being ignorant of the facts. Accusations of anti-Semitism are also used to obscure the hypocrisy of the Israeli claims. These claims are based on framing the Israelis and Palestinians quite differently. For instance, the New Zealand Prime Minister was quite public in her criticism of Israeli snipers killing and maiming protesting Palestinians in Gaza. But she then added the obligatory statement that Israel was entitled to defend its border. Leave aside the fact that the Palestinians were confronting a cease-fire line and not a border at all, and that this so called border was defended by Israelis, many of them born outside of Israel, against Palestinians attempting to return to their homeland, a right endorsed by the United Nations. Put all that aside for the moment. Consider that if our Prime Minister accepted the right of Israel to protect these ceasefire boundaries then this would mean surely that the Palestinians are afforded the same right from the other side. In other words, a right to defend those same 1949 boundaries, known as the Green Line. The close to 750,000 Israeli settlers in the West Bank and East Jerusalem are on the Occupied Palestinian Territory side. That is why it is called ‘Occupied’. These settlers have illegally crossed the Green Line from Israel. They have crossed the boundary in their hundreds of thousands over the years, whereas no Palestinians got near to doing this over the past few weeks from Gaza. But are the Palestinians entitled to fire on any of these Israelis in self-defence according to the Prime Minister? We will never know, it’s not the type of question you’d expect a New Zealand political journalist to ask the Prime Minister and be taken seriously. It does however illustrate the double standard expected of this political discourse. Then there’s the issue of Israeli citizenship. These same Israeli apologists who cast smears of anti-Semitism are also quick to point to the nearly two million Palestinians who have Israeli citizenship as proof that Israel is democratic. They might be questioned as to why this privilege is not extended to the more than three million West Bank Palestinians whose land was not taken by Israel until 1967. They have an answer for that as well. They respond that the citizenship of these Palestinians can’t be conferred on people who live on land whose final status is not determined. Of course, many Israelis who realise this position undermines Israeli claims to extending its sovereignty into the West Bank and East Jerusalem, then adopt the more flagrantly racist, but much more honest, standpoint. They say that Israel is entitled to this land. Israel is a Jewish state. The Palestinians therefore do not belong there and should either put up or, preferably, leave. But there’s another area which even more vividly exhibits the intrinsic racism of Israel. Israel also occupied the Golan Heights in 1967. It is part of Syria, not Palestine. Very soon after occupation Israel extended its jurisdiction to the Golan, an effective act of annexation. In the UN, however, only Israel, not even the US, votes that it remains on Syrian land. In this case Israel cannot argue that there is no country to return the Golan to, as it does with East Jerusalem and the West Bank, where it runs the ‘there never has been a Palestine’ case. Instead Israel provides itself with three arguments. The first is that the UN has promised countries in the region ‘defensible boundaries’. If Israel unilaterally considers the Golan a strategic defensive asset then that has to be alright with the rest of the world. The second, more recent argument, is that since Syria is in a civil war then somehow it deserves to have the Golan taken from it by a better behaved country such as Israel. The third, just as implausible, but intrinsically arrogant position, is that archaeological remains of a synagogue have been found in the Golan. Ancient synagogues can be found in many parts of the world. If Israel makes its territorial claims on that basis then Israel could expand half way across Europe. Or perhaps that rule only applies to ancient synagogues in the Arab world? But the deeply embedded Israeli racism is best illustrated by another aspect of the occupation of the Golan. Israel wants the non-Jewish population of the Golan (the now 26,000 people who managed to remain after the ethnic cleansing of 130,000 who were booted out by Israel in 1967) to be Israeli citizens. Israel does not allow the millions of Muslim and Christians in the West Bank to be Israeli citizens. But it puts great pressure on another occupied population, the Golan, to be Israeli. The explanation of this contradiction is both quite expedient and simple. The Arabs of the Golan are mostly Druze. The Druze are a people whose religion is rooted in Islam, but has departed in many ways and owes much of its theology to other faiths. Israel relies on Druze as its warrior caste, a minority in Israel which it can manipulate and separate from other Palestinians, by recruiting them into the Israeli military. Israel is extending the Israeli franchise to the Druze in Syrian territory, albeit against stiff resistance from those Druze of the Golan who still see themselves as Syrians. Israel is trying to extend its democracy to Syrians under its occupation, but will not contemplate doing the same to Palestinians under its occupation. 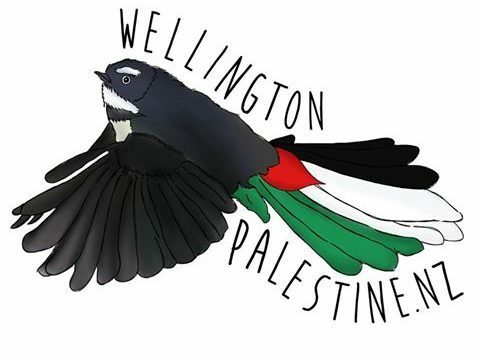 By Don Carson, a member of Wellington Palestine and a communications specialist with experience as a radio and television journalist.